Professor Carl Baum received his B.S. degree with highest distinction from the University of California at Los Angeles in 1987 and the M.S. and Ph.D. degrees in electrical engineering from the University of Illinois at Urbana-Champaign in 1989 and 1992, respectively. While at the University of Illinois he received the Robert Chien Memorial Award for excellence in research in the field of electrical and computer engineering. Dr. Baum is the recipient of the 1996 IEEE Browder J. Thompson Award and the 1998 McQueen Quattlebaum Faculty Achievement Award. Dr. Baum's research interests lie in the general areas of communications theory, coding theory, and detection and estimation theory. One focus of his research has been in the design and performance analysis of receivers for coded wireless spread-spectrum communication for both military and commercial systems. He has also developed algorithms for coordinated and uncoordinated channel sharing for wireless ad-hoc networks and wireless sensor networks. 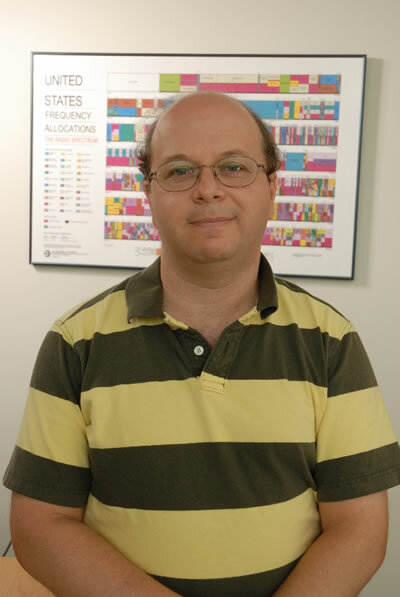 In addition, his research has made contributions to the fundamental understanding of the design of sequential multihypothesis tests, a form of decision theory in which the goal is to make a decision classification from noisy data in such a way that a metric incorporating both the speed and the accuracy of the decision is optimized. One current area of research involves the analysis and design of computer simulations that model the mobility of mobile nodes in a communication network. Of particular interest is the effect of mobility models on the predicted performance of both ad-hoc networks and networks with centralized control. Dr. Baum is also investigating the design of protocols for spectrum sharing involving multiple wireless communication networks sharing the same region of space. Receiver design continues to be a research interest, with particular focus on hardware/software interface issues in software radio systems. In addition, Dr. Baum is always interested in novel applications of detection and estimation theory, from the detection of nuclear radiation via anti-terrorism monitoring networks to modeling the effects of human and organizational decision making. Dr. Baum enjoys teaching courses in systems theory, communications theory, detection and estimation theory, and probability and random processes. His undergraduate course on systems and signals employs a novel technique of presenting continuous-time and discrete-time analysis simultaneously.